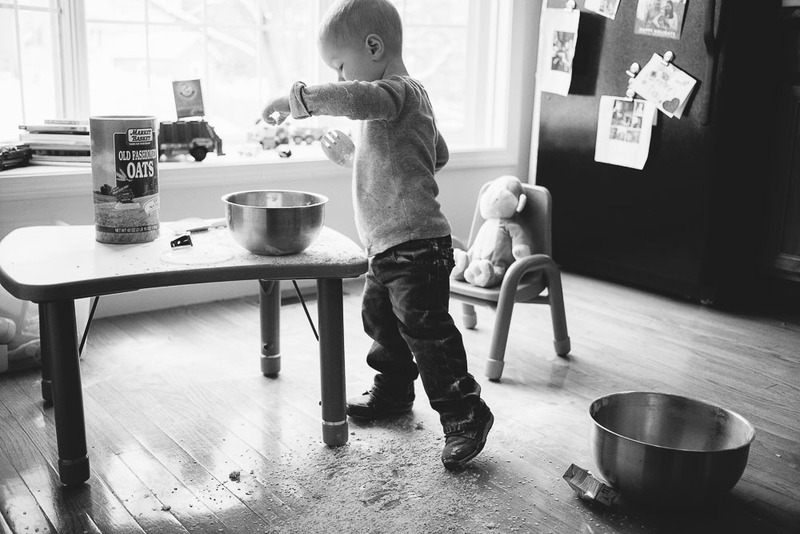 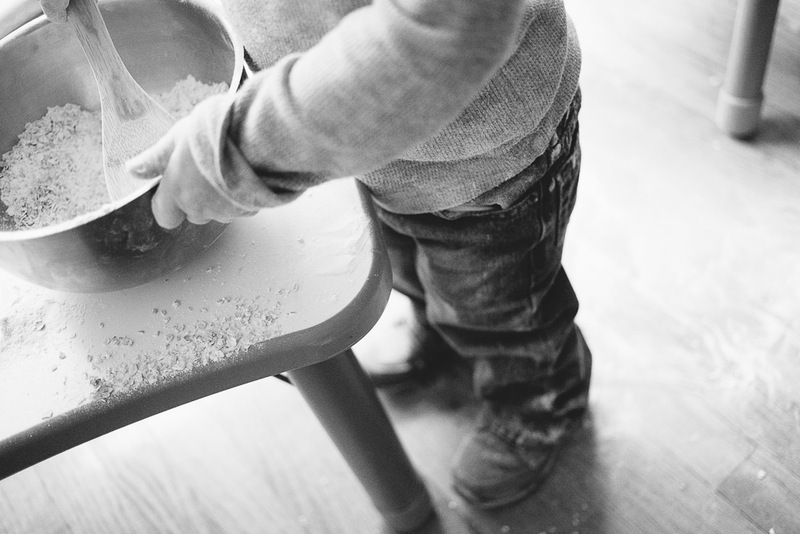 On a rainy day, Mommy and Henry decided to bake cookies. 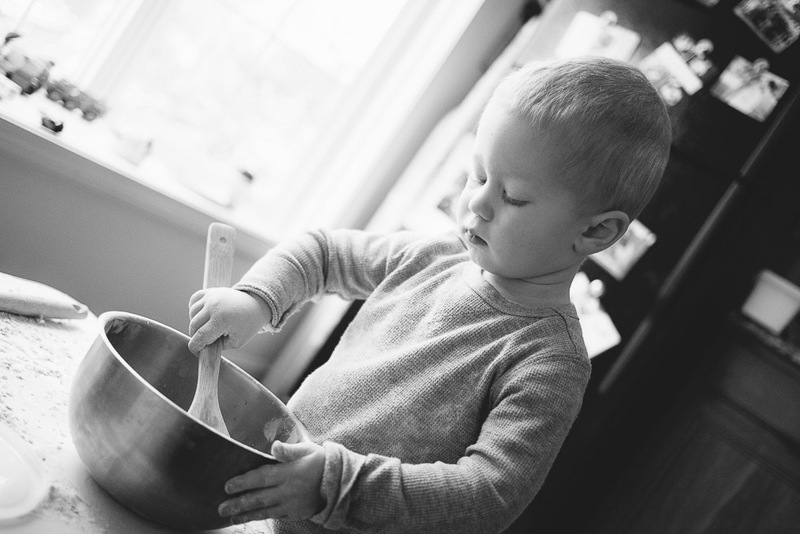 Daddy was marking papers (and Mommy was busy guarding the oven), so Henry was free to mix his own batch. 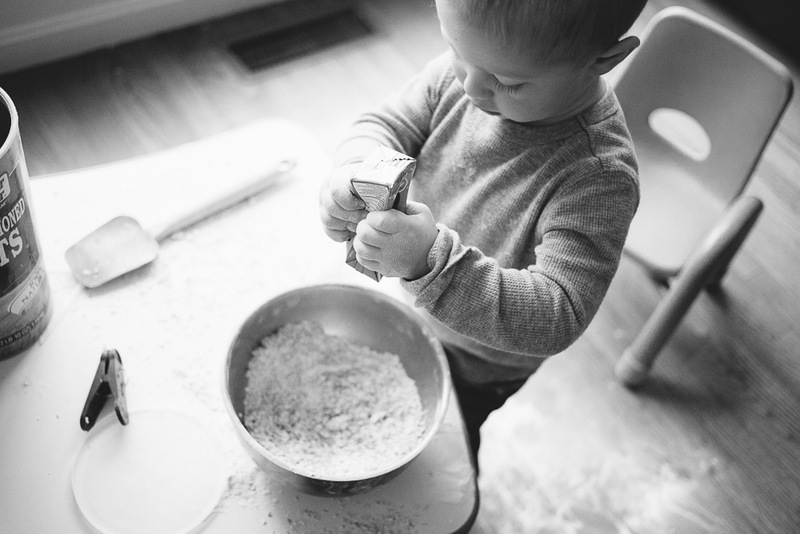 He was having such fun that Mommy and Daddy silently agreed to sacrifice one pack of oats and a juice box.